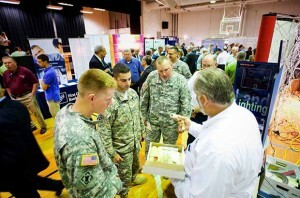 By Drew Brooks Military editor, Fayetteville Observer, N.C.
An annual trade show that draws hundreds of defense contractors to Fayetteville begins Tuesday, Aug. 5. 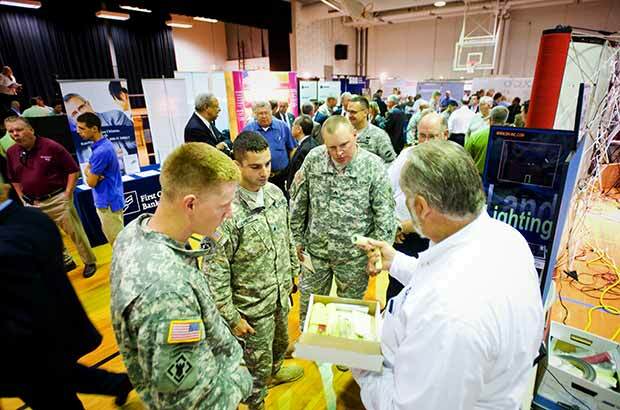 The 13th annual N.C. Defense and Economic Development Trade Show on the campus of Fayetteville Technical Community College is expected to attract at least 800 companies, according to Scott Dorney. It is the largest gathering of military contractors in the state. Dorney, executive director of the N.C. Military Business Center, said that number would be larger than last year. He said he also expects vendors to be more optimistic. Last year, the show was “marred by uncertainty” caused by defense cuts and sequestration, Dorney said. This year, while “not totally rosy,” contractors are on much better footing, he said. The free trade show, from 10 a.m. to 3 p.m. at the Horace Sisk complex at 2201 Hull Road, will include more than 100 exhibitors and several demonstrations by Fort Bragg soldiers. Dorney said the limited exhibition space is split among national defense companies, large North Carolina companies and small, local companies. Exhibitors include Fayetteville-based Combat Medical Systems, Lumberton-based Defense Logistics Inc. and Red Springs-based Hardpoint Technologies. The trade show is hosted by U.S. Sens. Kay Hagan and Richard Burr. The goal is to connect local businesses to opportunities not only at Fort Bragg but across the Department of Defense. In 2013, federal agencies spent roughly $4.9 billion in prime contracts in the state, according to FTCC. The defense industry is the second-largest sector of the state’s economy, with an annual impact of $48 billion. Dorney said the trade show will include education opportunities for defense businesses, with sessions aimed at small businesses and government contracting and a panel on “lessons learned” by defense contractors. Live demonstrations will include parachute riggers, infantry tactics and some military equipment – including a High Mobility Artillery Rocket System. In addition to the trade show, the center will co-host the 2014 North Carolina Aerospace Supplier and Advanced Manufacturing Summit in Winston-Salem on Wednesday and Thursday. That program, at Benton Convention Center, will bring together national aerospace leaders and North Carolina companies that work in the industry for a discussion on trends, future needs and the state of the industry.